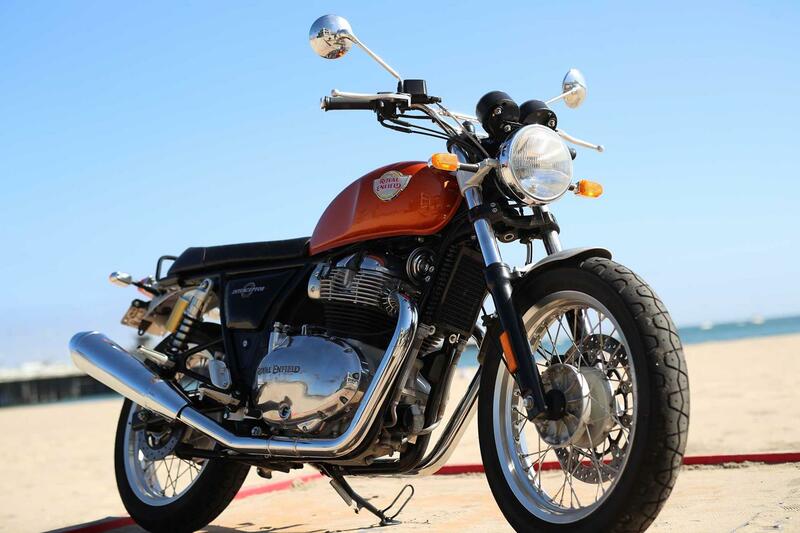 As an overall package, the Royal Enfield Interceptor is great. The engine is lively without being intimidating, the handling is fun without being patronising and the finish is good without breaking the bank. 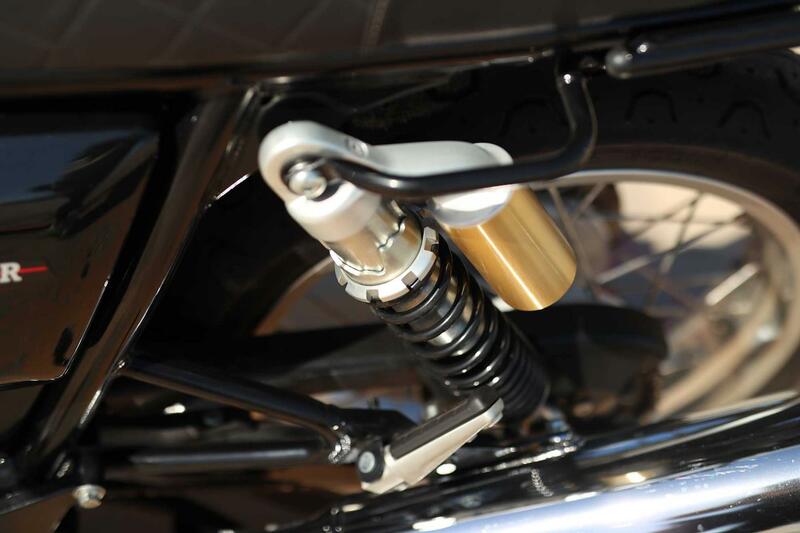 When you take into account the price, it really is a suspension overhaul away from being a five star bike. I’ve saved the best bit till last too: the average age of an Enfield owner in India is 27. If they can repeat that trick over here, we could be looking at the bike that saves the sport. 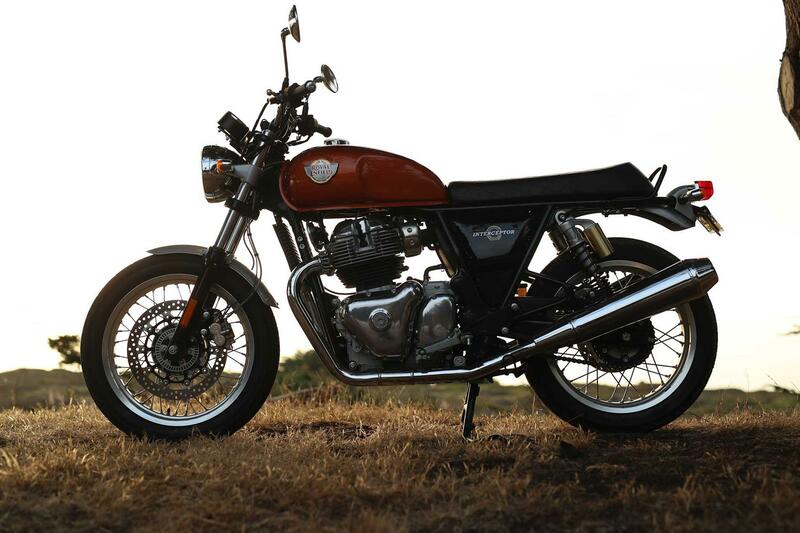 The Royal Enfield test riders say their brief for this bike was to make it fun and they’ve succeeded. 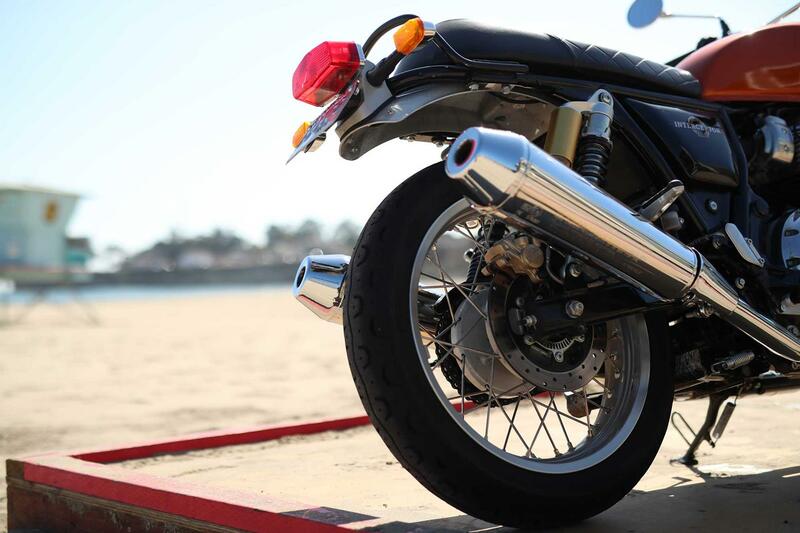 Because it doesn’t make huge amounts of power, you can rev the nuts off it and spend the whole day stretching your throttle cables without feeling like you’ve had the sh** kicked out of you. When a corner approaches, the Bybre brakes scrub off speed well with a decent bite and good modulation – hell even the budget Pirellis do a great job of sticking to the road. Riding along you start wondering where they’ve saved the money, then you come across some challenging corners and it all becomes painfully apparent. When you really start to push on, the budget suspension starts to struggle. 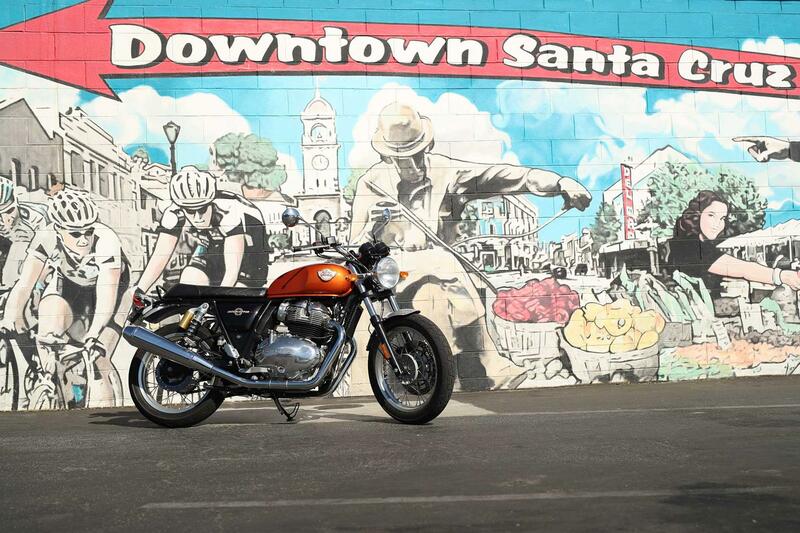 The Interceptor is very soft, at the request of the Indian market, and can wallow on fast, sweeping roads. When you do hit a bump, it’s under damped so it blows straight through the first part of the suspension and pops back with a jolt. Mid-corner bumps really upset the bike but, to give credit to the chassis, it all comes back together moments later. When you consider the price, you can forgive the bike a few faults – there are more expensive bikes with naff suspension too – but it’s still disappointing. In truth, a suspension swap wouldn’t be the hardest job in the world nor the most expensive, and Enfield did hint that posher suspension options might find their way into the catalogue in the near future, but for now it does mar the finish on an otherwise great bike. 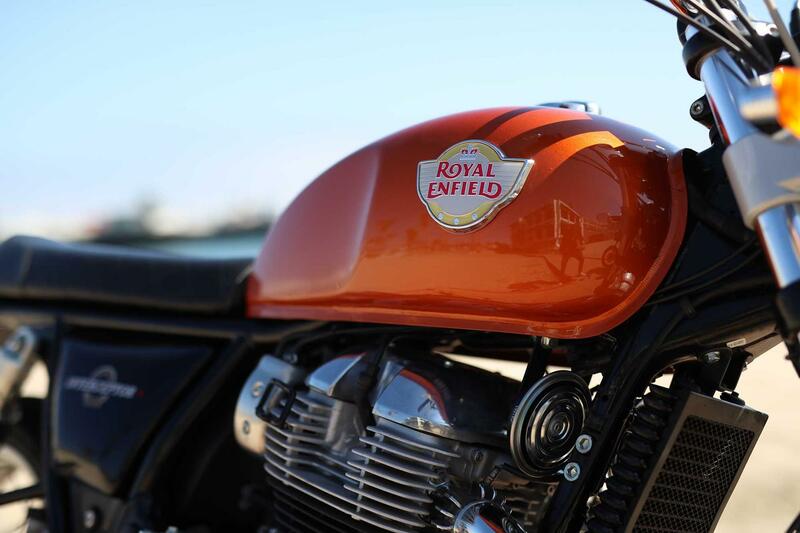 The Interceptor is fitted with Enfield’s brand new, air-cooled 650 parallel twin, also used in the Royal Enfield Continental GT. It doesn’t make huge amounts of power or torque, but that’s not really the point and it has ‘enough’. Down low there’s a reasonable amount of torque with most of it arriving before 2500rpm, so you can chug it out of corners but you can rev it too without it ever feeling like it’s going to bite. The throttle is lovely a smooth too, plus it’s A2 compliant. 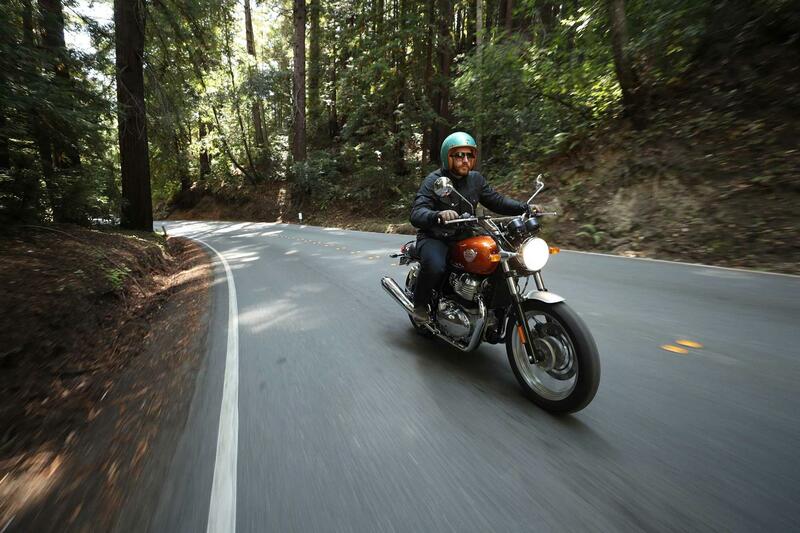 Holding on to gears brings you a bit more power while also rewarding you with a fantastic exhaust note. It sounds like it’s straight out of the ‘60s, which is a miracle in a Euro4 strangled world – there are even some S&S cans coming for noisy types. The new six-speed gearbox (an Enfield first!) is slick and if you keep feeding it gears it will clamber all the way to the magic ton. For the brief 150 miles we rode the bike on the launch in September 2018, nothing broke. In all seriousness Enfield doesn’t have the best rep for reliability but that’s something they want to change. 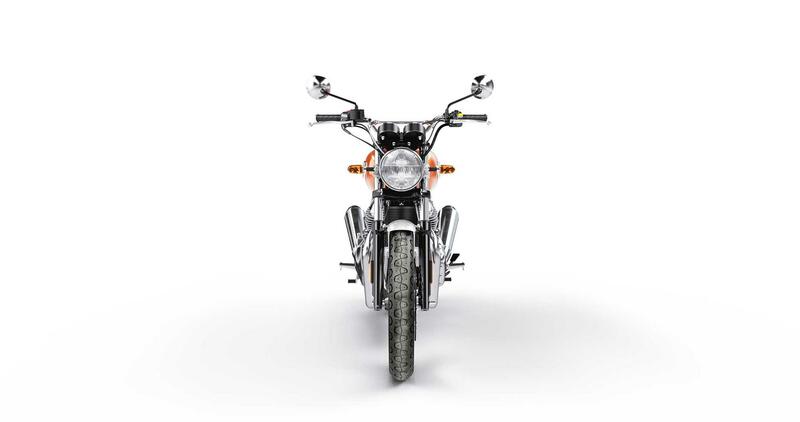 All the new bikes that come off the line will have gone through a 1007-point-check, which Enfield said took over six hours to complete. If that’s not enough, every new bike came with a three-year unlimited mileage warranty, so there was peace of mind when purchasing an Interceptor, too. Speaking personally – we wouldn’t have any concerns about buying one and it falling apart on the ride home. 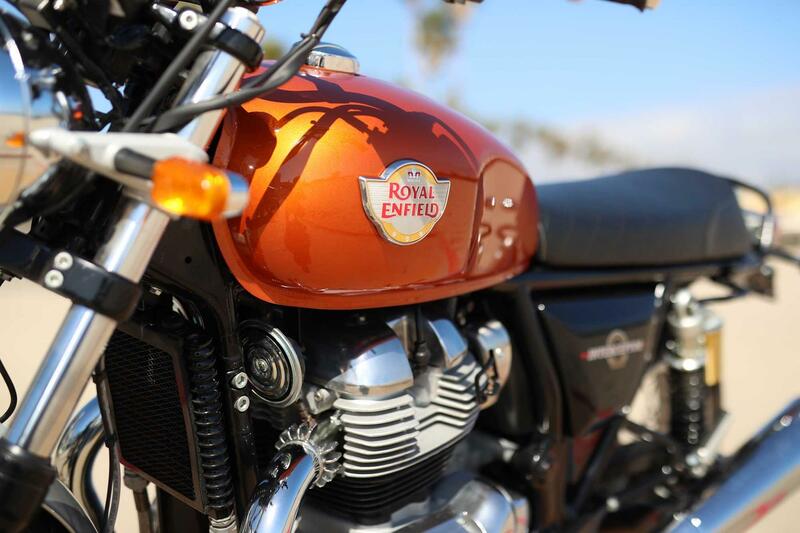 Royal Enfield are known for the budget bikes and the Interceptor continues that crusade, starting at just £5500 for the standard 'Orange Crush' model, rising to £5990 for the 'Glitter Dust' option. 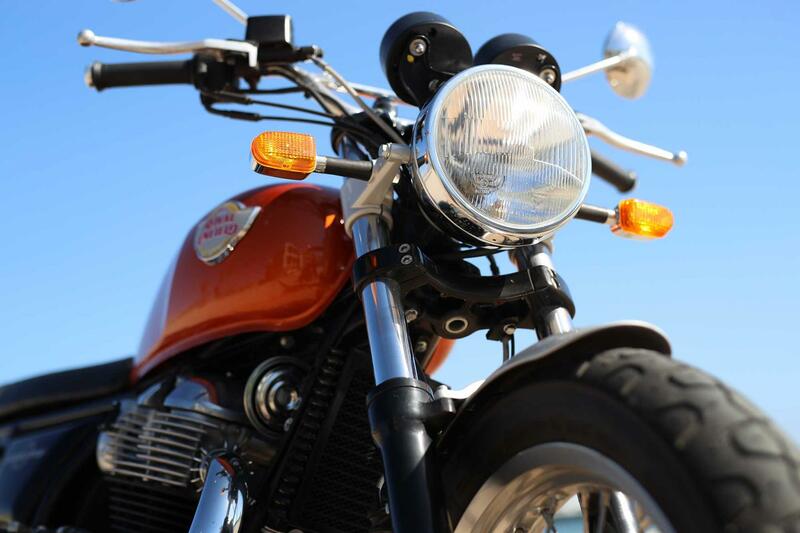 A brand new 650cc twin bike with a three-year unlimited mileage warranty for under £6000. Sounds like a bargain to us. Despite its budget price there’s some decent kit. Brakes are from Brembo subsidiary ByBre and they’re paired with Bosch’s two-channel ABS. Pirelli provide the tyres (although 18” sizes don’t leave many aftermarket options). 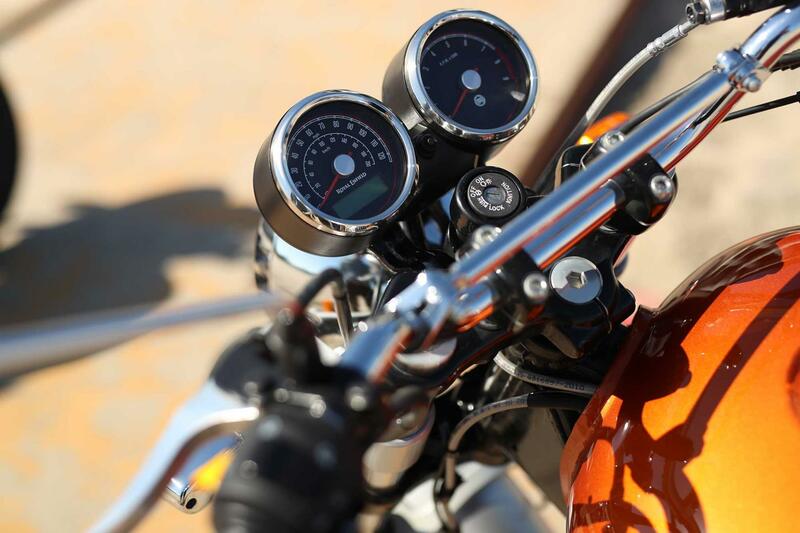 The retro clocks are nice too and they’ve even got a fuel gauge, although they’re not as feature rich as the ones on the Royal Enfield Himalayan, which is a bit of a shame. The fit and finish of the rest of the bike isn’t bad either – the only thing that really lets it down is the budget suspension. 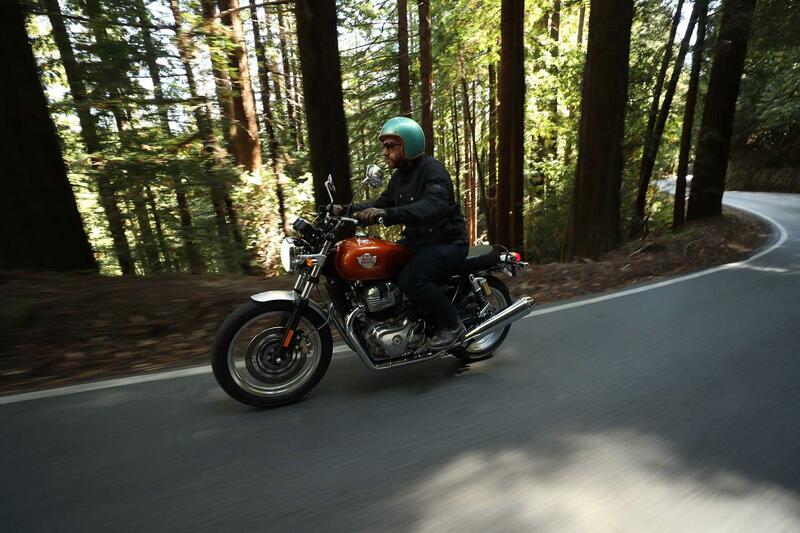 Royal Enfield Interceptor collector and dealer, Jeremy Pendergast, has been riding Royal Enfields since the '90s. 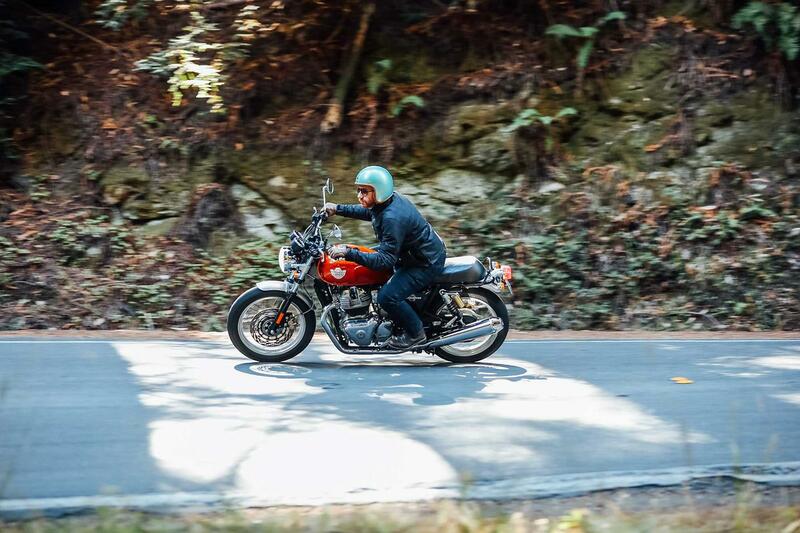 Watch the video above to hear Jeremy talk about the golden age of the Interceptor and how he celebrates the bike's greatest following on the American West Coast. 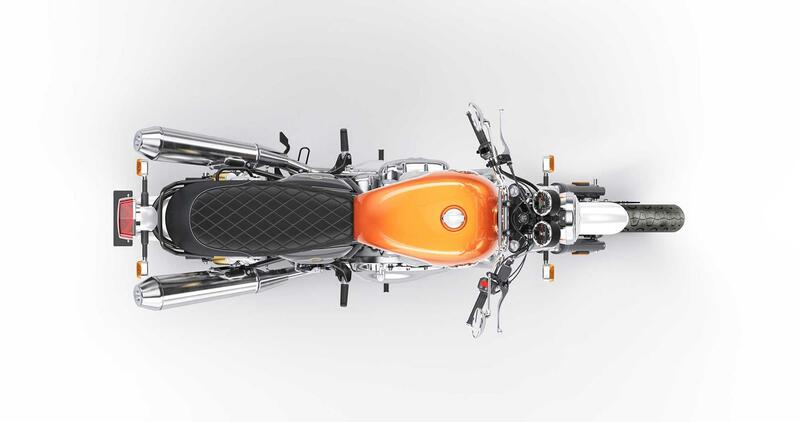 The Interceptor 650 was launched in 2017, which was debuted at EICMA, Milan by Royal Enfield CEO Siddhartha Lal and President, Rudratej Singh. 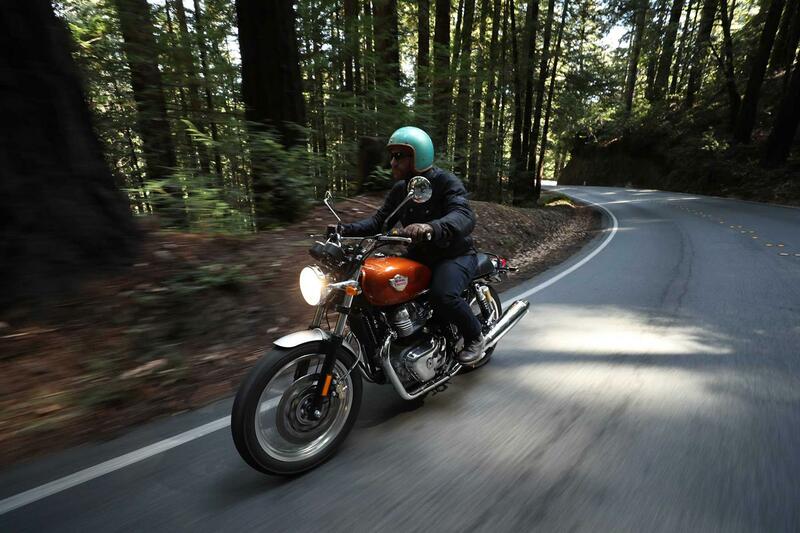 Powered by an air-oil cooled parallel 650 twin, the 2017 Interceptor came with 7" headlight, twin clock front and quilted twin seat. The narrow tank is stamped with a classic badge and topped with a Monza-style fuel cap. A dual cradle frame with a rear loop makes up the core, by way of a nod to the original Interceptor. 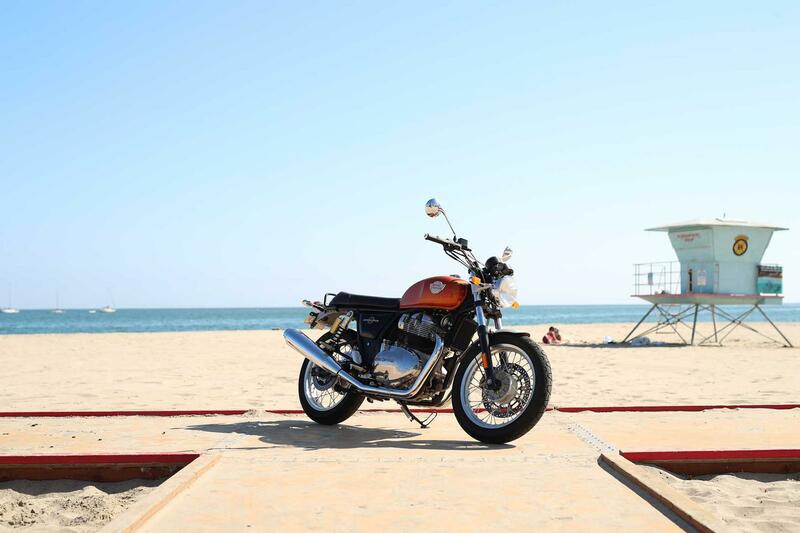 There is also a Royal Enfield Continental GT 650 new for 2018, which is very similar to the Interceptor 650. 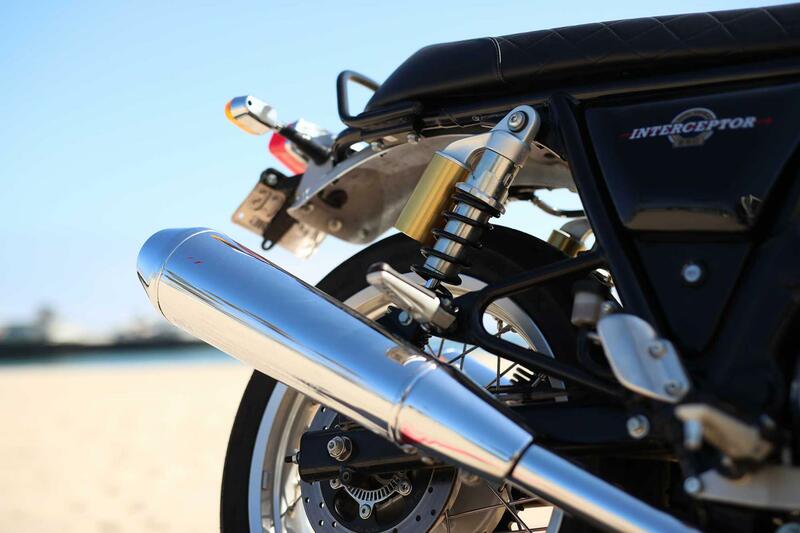 No owners have yet reviewed the ENFIELD INTERCEPTOR 650 (2018-on).